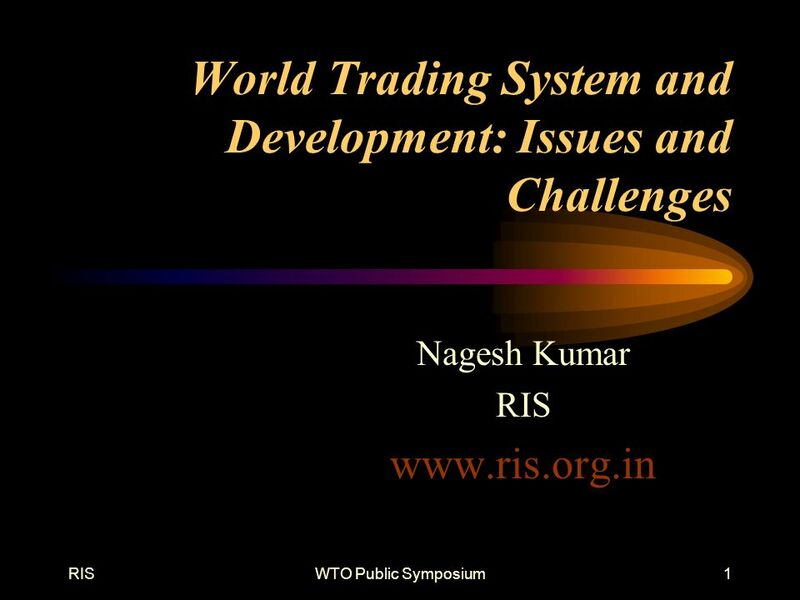 RISWTO Public Symposium1 World Trading System and Development: Issues and Challenges Nagesh Kumar RIS www.ris.org.in. 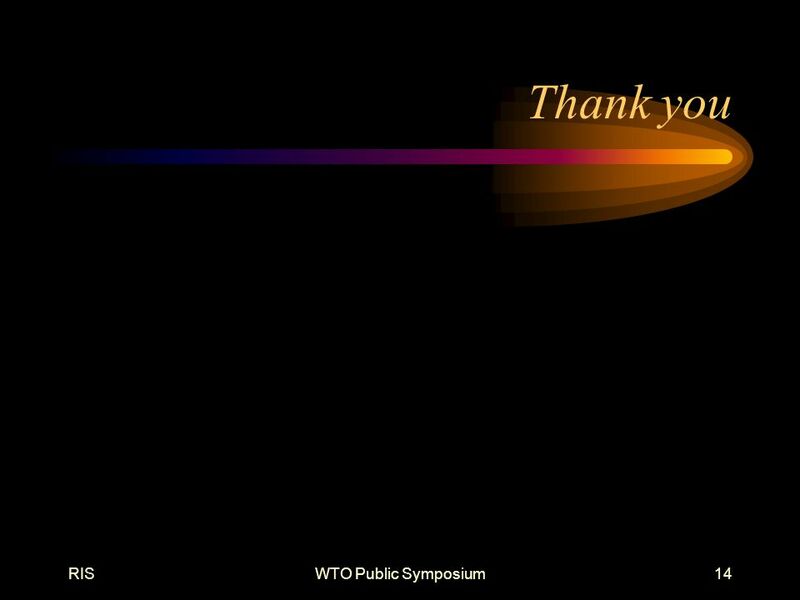 Download ppt "RISWTO Public Symposium1 World Trading System and Development: Issues and Challenges Nagesh Kumar RIS www.ris.org.in." External Trade Trade and Environment The EU approach Paolo Caridi First Secretary, Delegation of the European Commission to Japan. 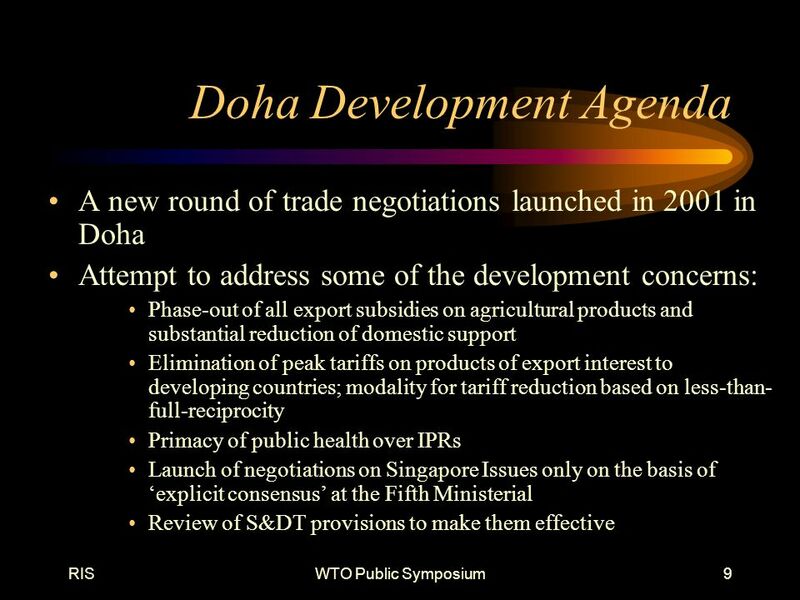 1 WTO Public Symposium Fulfilling the Doha Development Agenda: Key Issues for developing countries 18 June 2003. 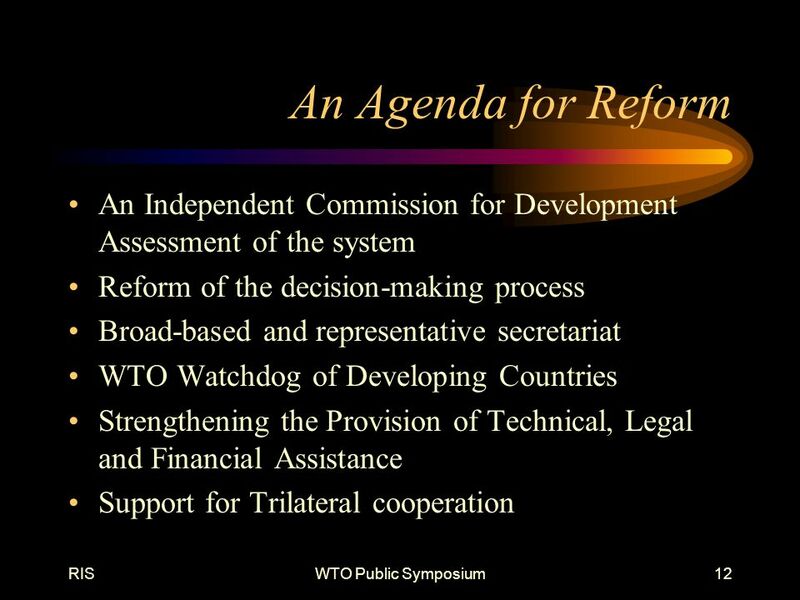 1 - Relevance for Regional Co-operation and Integration - THE GENERAL AGREEMENT ON TRADE IN SERVICES (GATS) Rolf Adlung Trade in Services Division WTO. 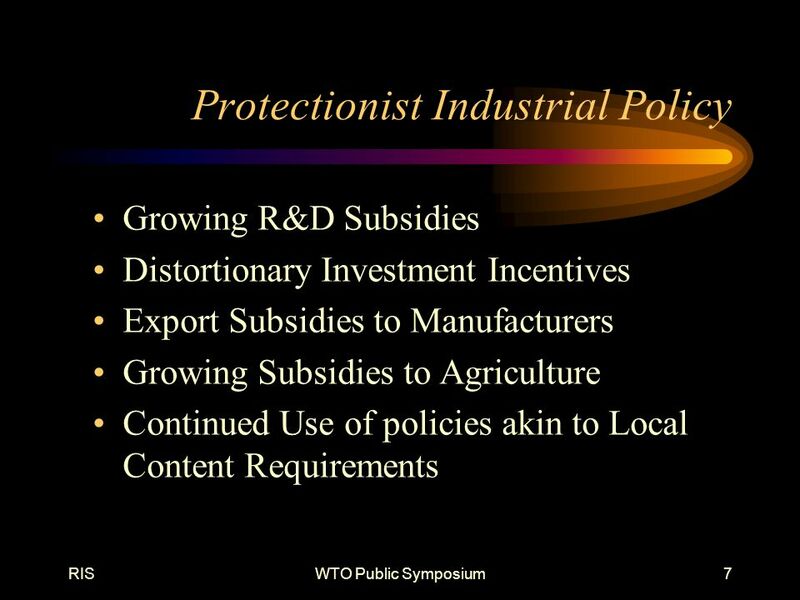 1 What can WTO Law do for Climate Change: Potentials and Limits Thomas Cottier NCCR – Trade Regulation World Trade Institute, Bern. 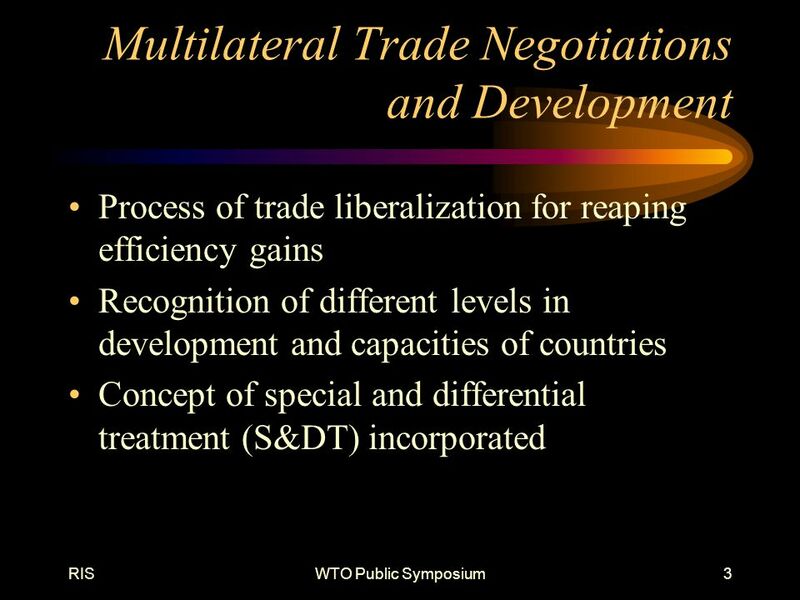 The Multilateral Trading System: Opportunities and Challenges for the East African Community (EAC) Countries Anne Kamau Ministry of Trade Department of. 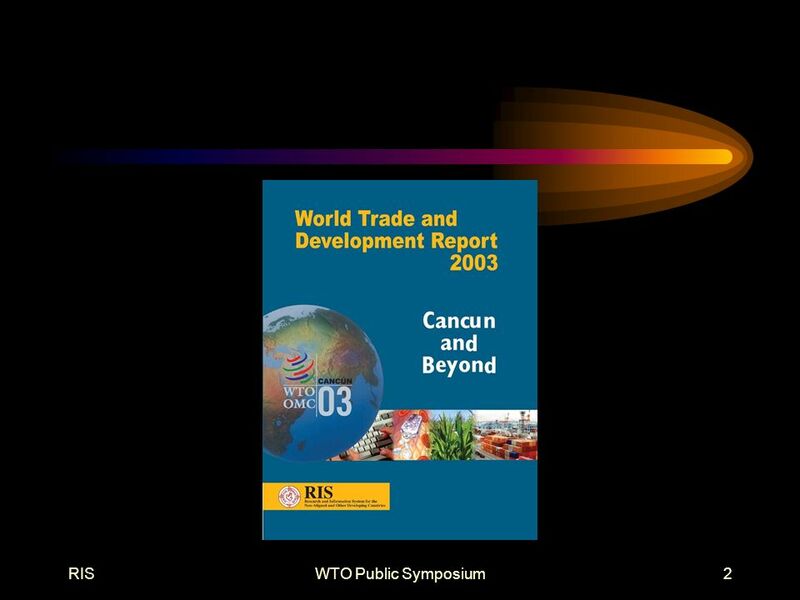 WORLD TRADE ORGANIZATION (WTO) Shumeet K. Grewal. SAIIA BRICS ROLE IN GLOBAL GOVERNANCE BRICS-TERN Meeting New Delhi 27 March 2012. 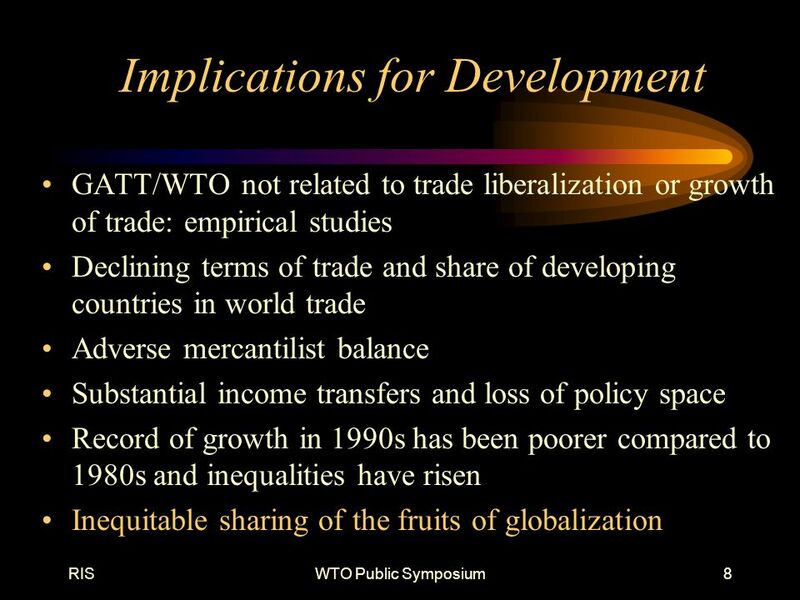 Free Trade vs Fair Trade Winners and Losers. 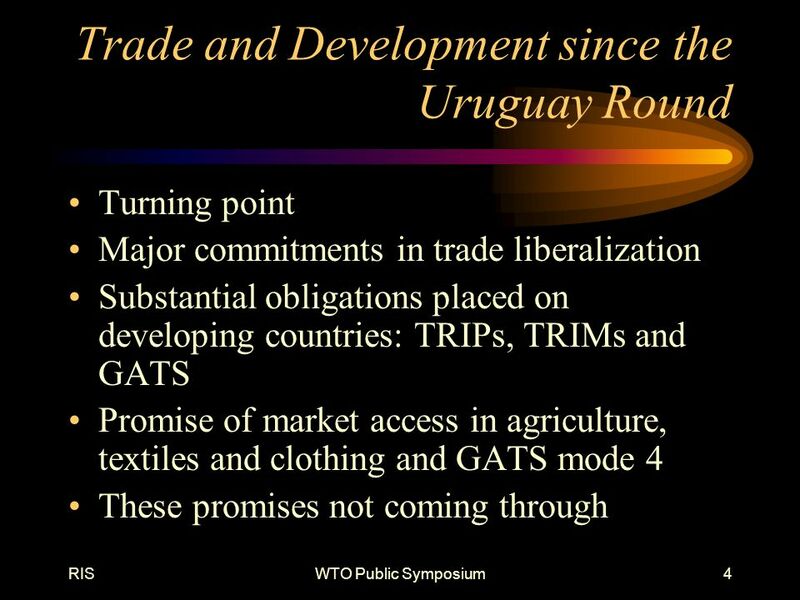 Why trade? Specialization and economies of scale in production lead to greater quantity of production in. 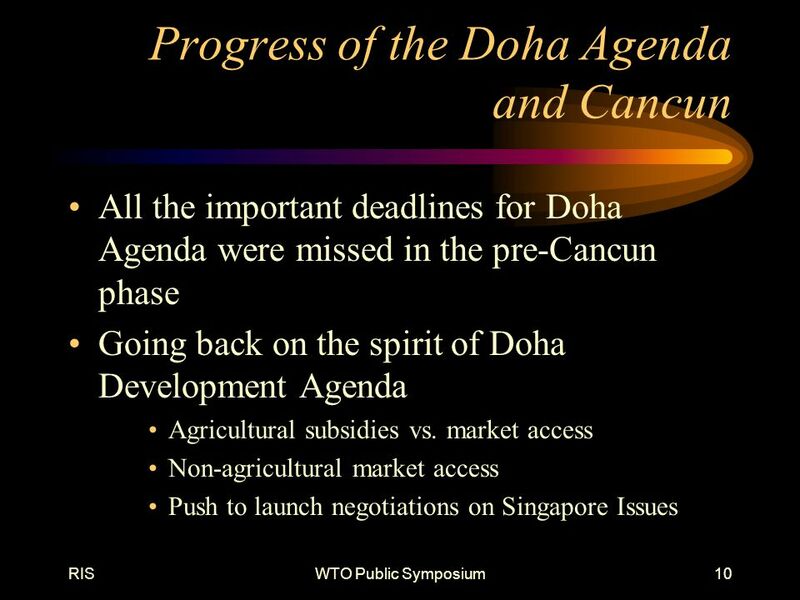 “NAFTA and the Future of Trade Governance” “Innovations and Innovating Processes in Trade Governance” Mark D. Nguyen Woodrow Wilson Center, Washington. 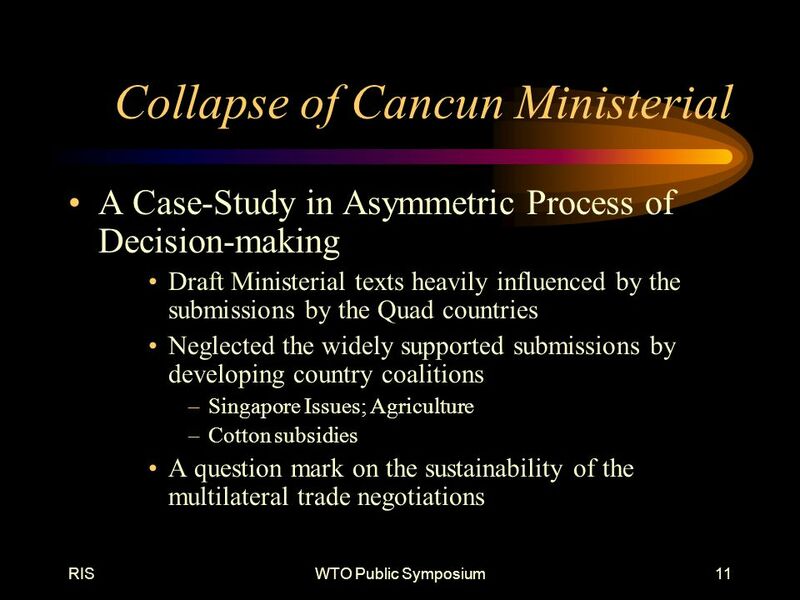 WTO AGRICULTURAL NEGOTIATIONS Portfolio Committee Agriculture and Land Affairs April 2003 Günter Müller Directorate: International Trade National Department. 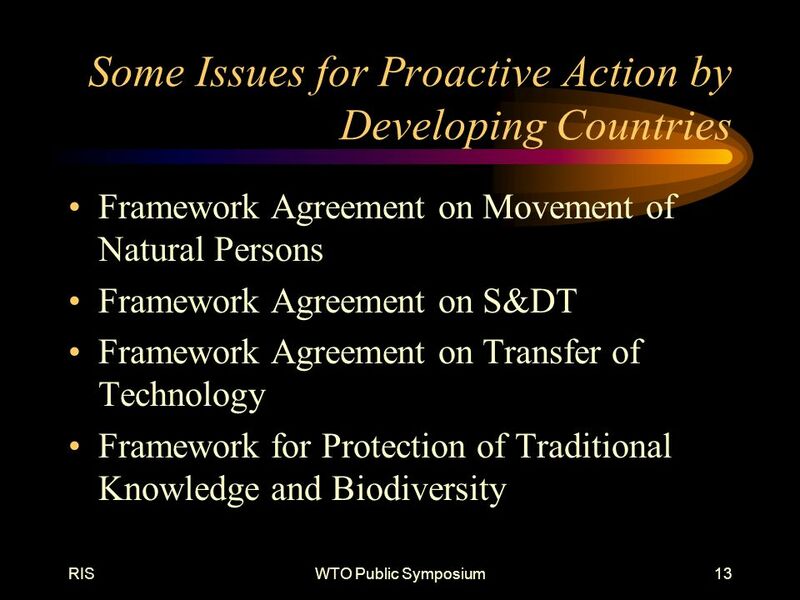 World Trade Organization Developments and Forestry John Mundy Director of Environmental and Sustainable Development Relations Division Foreign Affairs. 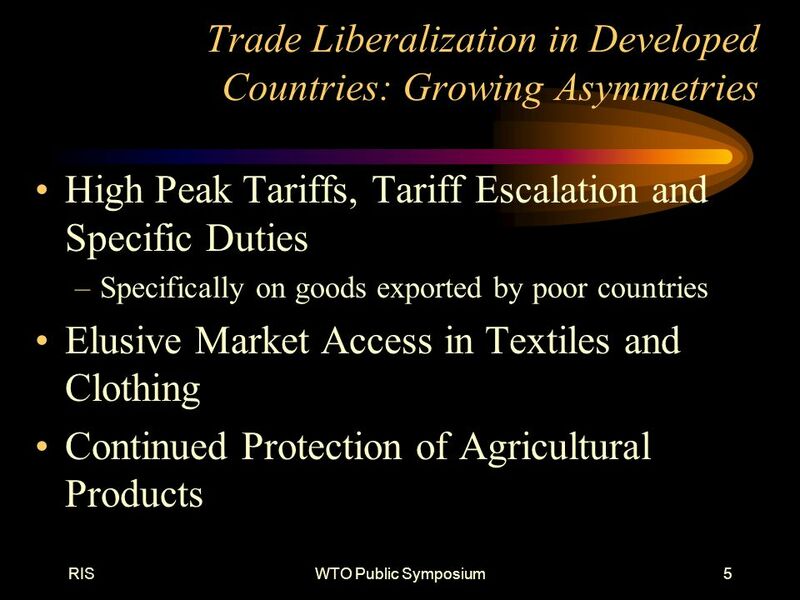 International Trade Policy A Major Influence On The Economic Viability Of The U.S. Cotton Industry A Major Influence On The Economic Viability Of The U.S. 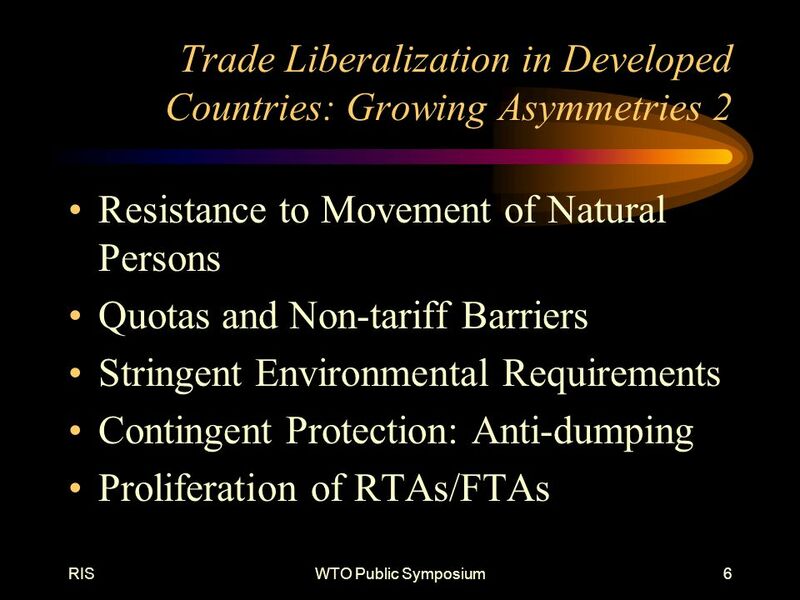 Regional Integration: a New Trade Protectionism Ludmila Štěrbová University of Economics, Prague. Overview of competition rules in Regional Trade Agreements Lecturer: Professor Mihai Berinde, PhD President of Romanian Competition Council.